Q: How many Organic Sulfur capsules are equal to one scoop of Organic Sulfur? A: Three capsules (1 g x 3 = 3 g) equals 1 scoop of Organic Sulfur (3 g). The Recommended Use on the label suggests 3 capsules as one serving. Q: Is it possible to eat too much Mila? Q: What is the source of the natural vanilla bean flavoring in Greens? A: Natural vanilla originates from Madagascar, Indonesia and Mexico. Vanilla beans are extracted, purified and made in the U.S.
Q: What are the natural flavors and colors that are used in products by PURE? A: Natural flavors and colors are from vegetables, fruits and other natural sources such as vanilla and cacao beans. Q: Which products by PURE contain vitamin D? A: Daily Build has 800 IU of vitamin D3, the highest amount. CalciuMK+ has 600 IU. Immune6 and GPS Reset have 500 IU. 360 Complete Shake has 200 IU. GPS Rebuild Chocolate has 40 IU of D3. Please check the product labels for ingredients and amounts. Q: Which products help support circulation and blood flow? Q: Do you use any synthetic ingredients in your “natural flavors”? A: There are no synthetic ingredients in our natural sweeteners and natural flavors. Q: What is glucose polymer derived from and is it something that is good for the body? A: Glucose polymers are an important source of carbohydrates in dietary supplements. Glucose polymers are large molecules composed of many glucose molecules. They provide more energy at a given osmolarity and are absorbed at a faster rate than glucose alone. Glucose polymers also improve the consistency of beverages made from powdered mixes. Glucose polymers are responsible for the creamy texture in products like ENERGY, 360 Complete Shake and PURE Café. Q: Are any products by PURE tested on animals? A: None of the products by PURE are tested on animals. Remember the movie Nim’s Island (2008)? Actress Jodie Foster plays the part of an agoraphobic, someone who is afraid of the outdoors. She eventually overcomes the disorder when she is called to fulfill a personal mission. While watching the movie, I couldn’t help but wonder if she was getting enough vitamin D.
Why, you might ask? 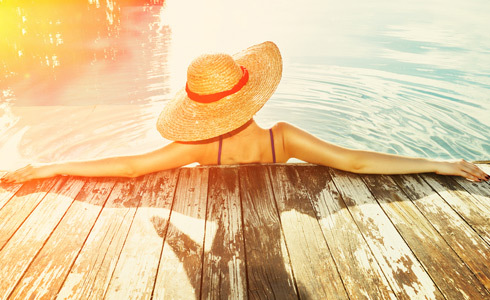 Vitamin D is called the “sunshine vitamin” for good reason. When the skin is exposed to ultraviolet rays, it triggers the body to make vitamin D. We cannot make this vitamin without sunshine, even though our bodies require it. Jodie Foster’s character likely received her vitamin D from dietary supplements, one can only hope, since it’s such a beneficial vitamin. She could have received sufficient amounts from foods like salmon, eggs and milk, which are all high in vitamin D.
Apparently, the older you are, the less vitamin D your skin absorbs. And yet, as you age, the more you need vitamin D to keep your mind sharp. Researchers at the University of California-Davis conducted a study and found that participants, average age of 75, who had deficient (less than 12 ng/mL) or insufficient (12-20 ng/mL) vitamin D levels, experienced a decline in short-term memory and executive functions (reasoning, problem solving and planning). Their average levels of vitamin D were 19 ng/mL. Consensus among physicians is that levels should be at least 35 ng/mL. Here in Texas, at the PURE home office, we are strong proponents of the sunshine vitamin. Not only do we get a lot of it being in southern climates, but we have some fabulous products that contain it. Below is a list of vitamin D-rich products with their respective amounts. Note that IU on a vitamin label means “international unit.” That’s science lingo for the amount of fat-soluble vitamins in a capsule; vitamins that are stored in the body, versus water-soluble vitamins which are not. According to the Institute of Medicine, 600 International Units (IU) is the recommended daily intake for children and for adults ages 19 to 70. People ages 71 and older should get an additional 200 IU.2 Please note that CalciuMK+ and 360 Complete Shake are safe for children 6 to 12 years of age. Immune6 and Daily Build are safe for children ages 12 years and up. All it takes is 10 to 15 minutes of sun exposure each day for your body to produce adequate amounts of the vitamin. That can easily be done by walking the dog, going for a quick jog around the block or mowing the lawn. Keep in mind that using sunscreen can block vitamin D absorption. Always be sensible with your time in the sun. Also, your complexion can factor into your sun exposure needs. Lighter skin absorbs vitamin D quicker than darker skin. People in the northern climates are exposed to less sun than those who live in the south. Most people get enough vitamin D. However, if you don’t spend enough time in the sun, or if your body has trouble absorbing the vitamin, you may not get enough. So spend some time outdoors and enjoy the beautiful sunshine, wisely. It’s the best way to get your D, and to do your body good. Ho, ho, whoa! It’s that time of year again to fill Santa’s sleigh with products from PURE. We have something for everyone on your list, even gifts for the hardest to please. After all, everyone deserves the gift of Whole Health. 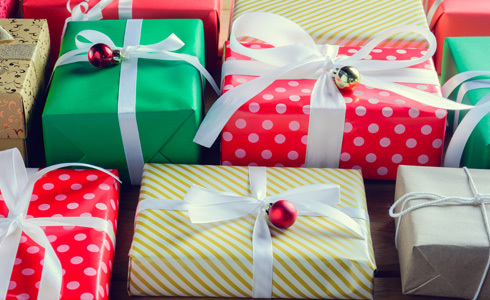 Here is a list of holiday gift ideas for all the people in your life. Get ready to watch them unwrap the magic. Put together a basket with tubs of GPS Adapt and Circulate. Throw in GPS Energize and Hydrate sticks and don’t forget a Blender Bottle. You might want to add an iTunes gift card, too! Help them energize their workout with the ENERGY Variety Pack, and let them taste all the delicious flavors. Give him/her an ENERGY Variety Pack to use and share with their friends. They’ll need that extra mental boost during test-taking time. Add some of their favorite snacks and an H20 Filtration System so they can enjoy clean drinking water while on the go. Gift them with CalciuMK+ and 360 Complete Shake. Older adults need more calcium and vitamin D to help maintain bone health. CalciuMK+ is an excellent source of calcium with added vitamins K2 and D for calcium absorption. 360 Complete Shake has 45 percent of the daily value of calcium. And, of course, give them a personalized drawing from a favorite grandchild. PURE Café all the way! This delicious, slimming coffee with antioxidants, botanicals and vitamins will wake them up and slim them down. Plus, they’ll love the delicious mocha-flavor. Whether they’ve been naughty or nice this year, your boss will appreciate a bottle of GoYin balancing blend. GoYin has been shown to reduce stress and help overall mood. * You could also give them one of our Superfruit juices to try. They are not diluted with other fruit juices and contain no added sugar or preservatives. For anyone who desires a more youthful appearance, give them Ciello Advanced Skincare. This peptide serum and airbrush system restores skin’s youthful radiance. This gift will deliver holiday happiness, guaranteed! Put together a basket with your favorite recipes from PURE along with the products they need to make them. You can find recipes here. Throw in some cooking utensils, a cute oven mitt and a timer. Give them the gift they really deserve, a bottle of GoYin to help reduce stress and help overall mood. * They would also love 360 Complete Shake for those times when they just don’t have the time. Think about gifting Immune6, too, to help with seasonal support. This Christmas, make it PURE. Contact our Sales Support team today at 866-535-5888 or salessupport@livepure.com to order your favorites. 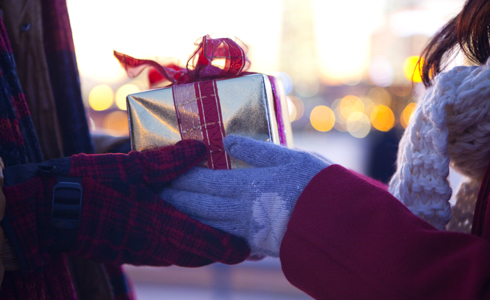 We know it’s better to give than to receive, but don’t forget to buy for yourself … you deserve it! **To assist in relief efforts, PURE will give a non-tax-deductible donation through their Live PURE Project, which will purchase one water filtration bottle for every bottle system that is purchased. Excludes pack purchases. Click here to learn more. Has a product been shelved too long to consume? 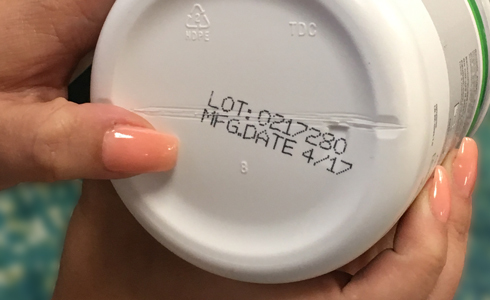 How often do you pay attention to the stamped date on a food product or vitamin bottle? Depending on what kind of product it is, you may see the words “manufacture date”, “expiration date”, “best by date”, or another term. They all indicate the difference between a quality product and one that you should be consuming at your own risk. Let’s imagine you had a bottle of unopened GoYin in your pantry with a stamped “manufacture date” of September 2016. Since it was made over a year ago, is it now unsafe to consume? Let’s find out. Federal regulations do not require dietary supplement manufacturers to include an expiration date on their products. Due to rules within the U.S. Food and Drug Administration’s (FDAs) current Good Manufacturing Practices (cGMP) regulations, our dietary supplement products (products labeled with Supplement Facts as opposed to Nutrition Facts) have “manufacture date”, “best by date”, or “expiration date”. The “manufacture date” (mfg) printed on the label is the date the product was produced in compliance with Good Manufacturing (GMP) regulations. Most of our products should be consumed within two years of their “manufacture date”. Some products (i.e. Cell Water, Alkaline Water Concentrate) are good for four years past their listed manufacturer date. A “best by date” means a product has optimal flavor and nutrition through the end of the month of a listed date. If your products have been properly stored with intact seals, then it is safe to consume them even if it is two years after the “manufacture date”. The flavor of the products may change if they are consumed outside of their intended shelf lives. Once opened, products should be stored in the refrigerator and consumed within a 30-40-day window. The 30-45 days is the furthest date we still guarantee them to be safe and effective. If it is opened and has been out of the refrigerator overnight, it is okay to consume. Powered products, once opened, will last longer than this – up to 60-90 days. 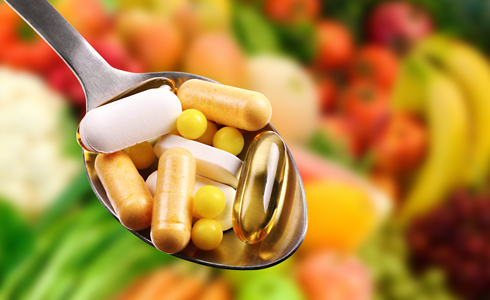 Storing your supplements in the right place can make a big difference in their quality and potency. In fact, the top threat facing your supplements is moisture. Water can oxidize and damage the ingredients, so keep your supplements in a dry location. High temperatures are also a problem, as they can interfere with the delicate structure of nutrients and cause them to break down. Keep supplements in their original containers, that way you’ll know their “manufacture date”. Always read each label for storage and usage directions. Please see our FAQ regarding expired products at: http://www.livepure.com/faq#expiration_date. Thank you.